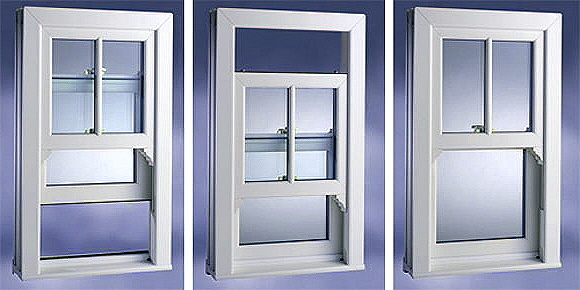 Why Buy Contemporary uPVC Sash Windows? Why Buy Contemporary uPVC Sash Windows? With the design aim of replicating the look & character of the original style, a modern Sash Window can retain or enhance your property whilst at the same time bringing the added benefits of using uPVC Sash Windows. Many of the latest examples were manufactured only after consulting with conservation departments and now bring a truly authentic appearance to uPVC Sash Windows. In more cases this can allow them to be installed into properties where only timber sash windows would have been suited for reasons of aesthetic appearance. Window horns, deep putty lines & other moldings enhance the appearance. Whist chambered frame profiles, storm proof seals and Pilkington Optiwhite™ double glazing options give the windows up to “A” BFRC energy efficiency ratings. There are more than a dozen colour options in the market, as well as smooth or grained surface finish options. Clear, obscure or patterned glazing can be fitted to your choice. For those who think that sash windows in uPVC are not suitable, then it’s time to think again. With profiles designed to match traditional appearances, Sashes manufactured from uPVC look as good & lasts longer than timber. The introduction of wood-grain surface finishes in uPVC gives an even greater appeal. Designed to replicate the look and feel of real timber, modern wood-grain finishes give the final touch of class to your sash window. Cleaning the frames is so easy. They only require washing with soapy water, then rinse & dry off. There is never going to be a need to sandpaper the frames, scrape off the old paint and repaint the frames over and over again. Built-in draught excluders in the frames keep out the strongest winds. Tight fitting sashes with water drains keep out damp. Energy efficient glazing can virtually eliminate unwanted heat & trickle vents prevent condensation. It has to be heard to be believed. The reduction in sound levels using double glazed sash window is awesome. Having single glazed windows is just throwing away money. Triple glazing is even better at sound reduction. Old sashes were protected by just 1 simple catch in the centre. Modern uPVC sashes can be fitted with “secured by design” fasteners, movement restrictors & internal beading. Everything designed to make it very secure. You don’t have to have just a single sash window fitted. If you have a bay window or a bow window, sash designs are more than capable of meeting the task at hand. Many older properties throughout the UK make excellent use of Bay Sash Windows. Sliding sashes can be manufactured & installed for bay or bow facets of 30°, 45°, 60° or 90° angles – these are built bespoke to order and require careful measurement before ordering. If you like white, then the “brilliant-white” finish will suit your needs. But if you want something different to contrast or complement your property there are around 12 or so colours in uPVC available, such as Mahogany & Irish Oak. Where some element of privacy is required frosted, or otherwise “obscure”, glass can be made use of. Places where patterned or “frosted” glass can be useful are in glazed front or back doors (and door side panels). It’s also used in bathrooms & toilets where we want our privacy kept. Using patterned glass is also quite popular for small “top lights” in the front windows of many homes. Leaded glass can be quite an attractive option when used in moderation or where it makes the windows sympathetic to the overall character of the property. Leaded, patterned or frosted glazing is, in almost all cases, classed as an optional extra and will incur an additional cost. A very useful feature, especially in upper floors, are tilting sash options. This function is designed to allow the moving sections to be released either on the side or bottom so that the outer surface can be easily accessed for both maintenance and regular cleaning.